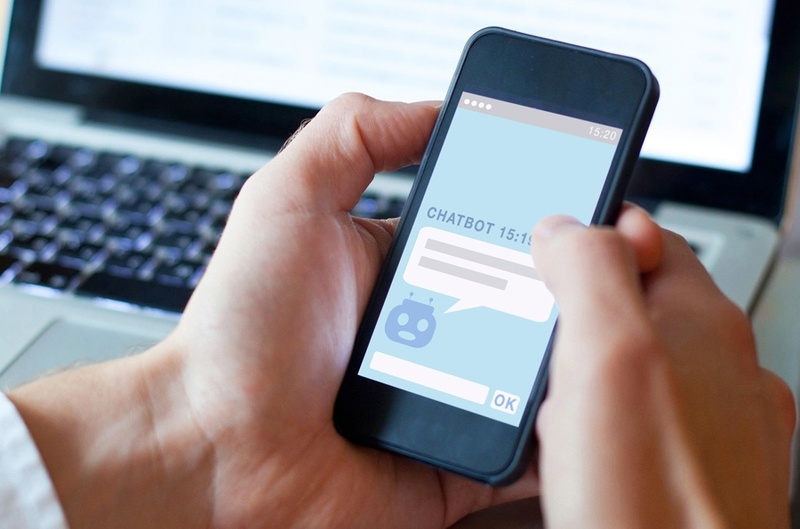 Are Customer Service Chatbots The Natural Next Step For Engagement? The robots are coming. We watch those mildly terrifying Boston Dynamics videos in which droid dogs try to open doors. We listen to tech giants like Elon Musk tell us that AI is potentially more dangerous than nuclear warheads. But despite the bold claims and fear-mongering, the reality of AI is a little more pedestrian for most of us. We won’t be using intelligent robots to do everyday tasks (while worrying about them turning on their human overlords). Instead, we’ll be using AI for helpful things, like getting online assistance from customer service chatbots who know what we want. That’s why for people in customer service, the rise of the machines is nothing to fear or fret over. Instead, it’s something to celebrate. AI is technology that will really give a helping hand to customer engagement strategies. Want to learn how new AI tools can empower your contact centre agents? Check out our on-demand webinar with Marketforce, featuring 5 CX experts that are passionate about creating empathy in customer service! Customer engagement is all about emotion and sentiment. In other words, what people think and feel, then how that changes their relationship with the brand. Today, this matters more than ever because there’s more choice in every conceivable market. We’ve quoted these numbers before, but they need repeating: 61% of consumers switched provider in 2016, and 81% think the company they were using could’ve acted before they did. Basically, their original provider failed to tap into their emotion – recovering any detractors and amplifying their advocates. Long story short: customer emotion is vital to brilliant engagement on any level, and it’s here where AI can make a difference. Despite its reputation as a cold, unhuman thing, AI is primed to help businesses collect emotional insight and analyse it to make better decisions – either autonomously, or with human agents. It may sound counter intuitive to suggest that AI is primed to work with human emotional insight, but it’s true. At the moment, a lot of companies have their customer emotion data (in other words, what people think and feel) buried within long, unwieldy surveys. Today, new technology like Rant & Rave’s Sentiment Engine uses intelligent Natural Language Processing. This means that customers are able to leave feedback entirely in their own words, with the Sentiment Engine extracting exactly what they’re saying. By gathering the real and emotional experiences of customers, brands are able to collect a detailed picture of the kind of service they provide, rather than trying to figure it out based on a selection of ticked boxes or scores alone. This is where frontline agents can not only utilise tech to improve their level of service, but also empower their businesses to identify weaknesses in their customer journeys. But even with the smartest AI solution, your people still have a huge part to play. Struggling to capture customer emotion? Learn how you can harness the power of emotion in our eBook: The Essential Guide to Emotional Engagement! AI is all about analysing data, then making decisions based on the insight captured. It doesn’t matter whether it’s driving a car, or helping someone out with an insurance quote, the process is the same. But AI will always have a limit, beyond which humans must take over. Knowing where this line falls is vital to the successful implementation and usage of AI-based customer engagement tools. After all, the primary job of the virtual agent or chatbot is to help customer service professionals to improve how they work. This human/machine link up is going to be massively important for all businesses – particularly in light of the news that AI is predicted to be a net jobs creator, according to a recent report from PwC. The final one is knowing the limits of the AI and what it can do. Although AI technology is interesting and exciting, introducing a bot to handle any and all customer queries is the wrong way to go about things. An interaction that’s complex, or requires a level of empathy, is likely to need someone who can manage the customers emotions effectively, especially if it’s surrounding a more delicate situation or issue. In a world where people often feel disconnected, an empathetic voice coming from a frontline agent can be the difference between a great customer experience and a poor one. The main lesson here is that to get customers raving about your chatbot, it needs to be able to demonstrate all of the key competencies of your top agents and deliver an experience without friction. The future of customer engagement is really exciting, if you’re willing to embrace the technologies that make the leap forward a little easier to accomplish. At Rant & Rave, AI is a big part of what we do to improve customer service and drive brilliant engagement – and we’ve seen how brands are harnessing its power to improve service quality and company reputation. As ever, it’s all about customer emotion, service empathy and using the right tech for the right job. To find out more about where CX professionals see the world of AI taking us, watch our video webinar on creating empathy in customer services.